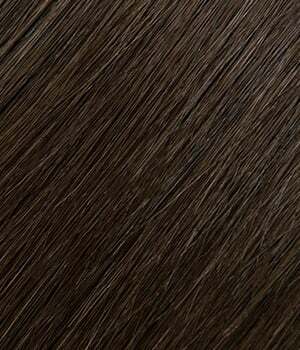 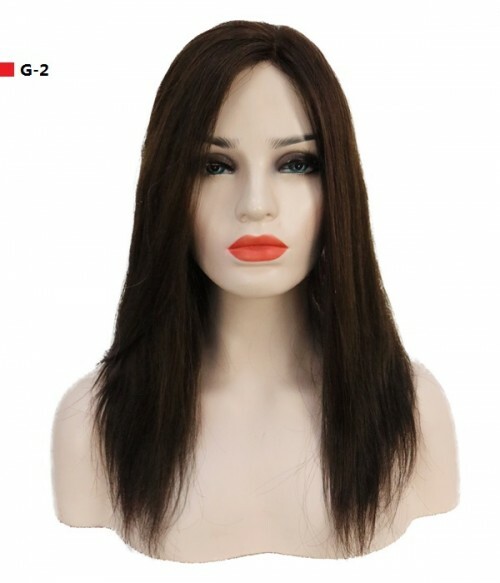 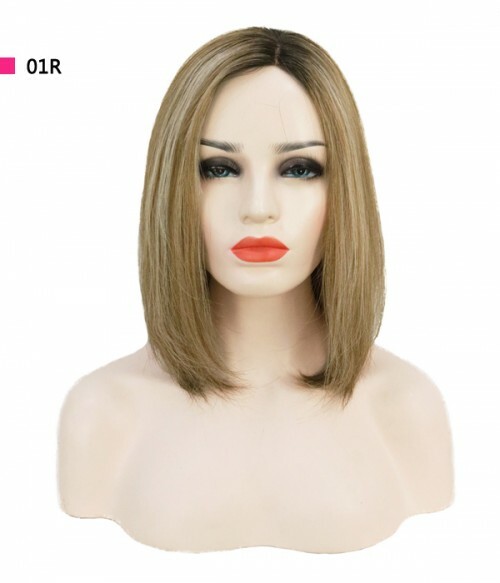 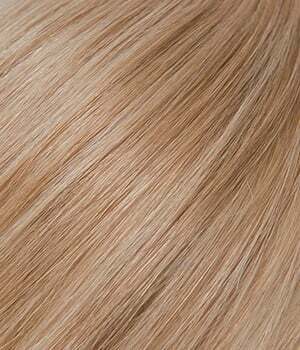 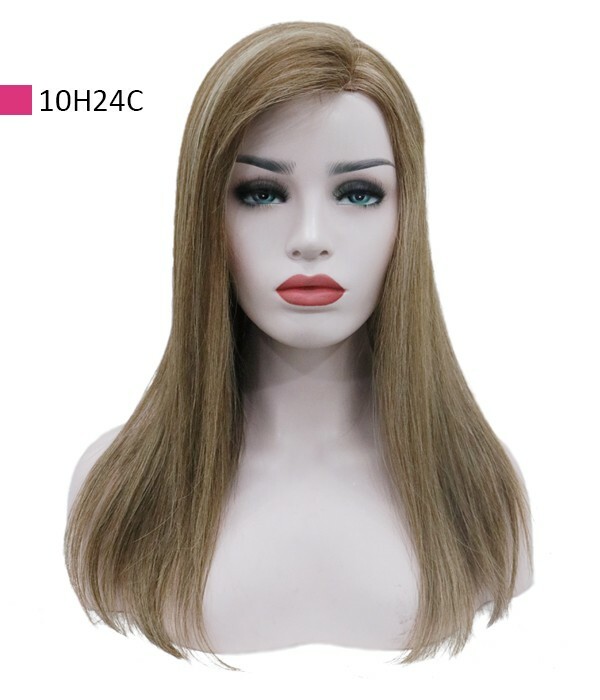 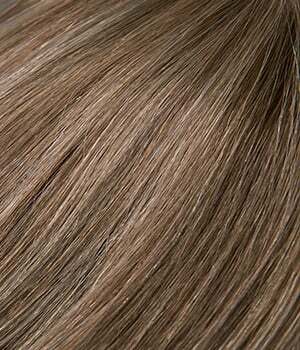 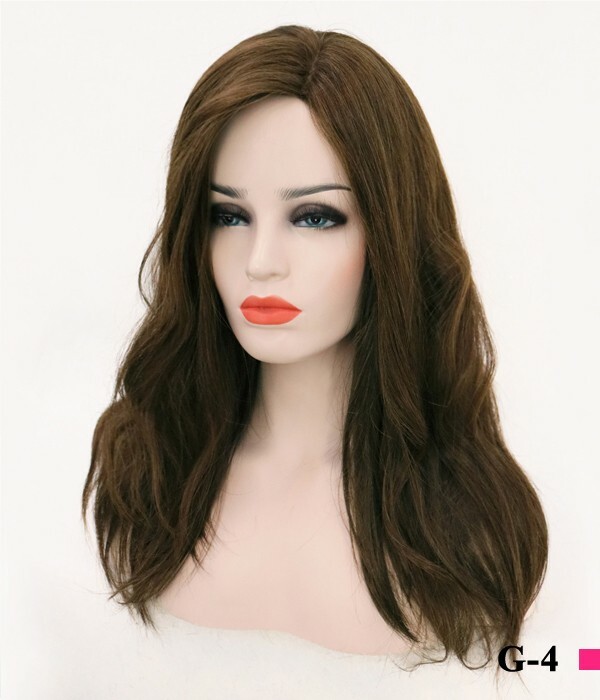 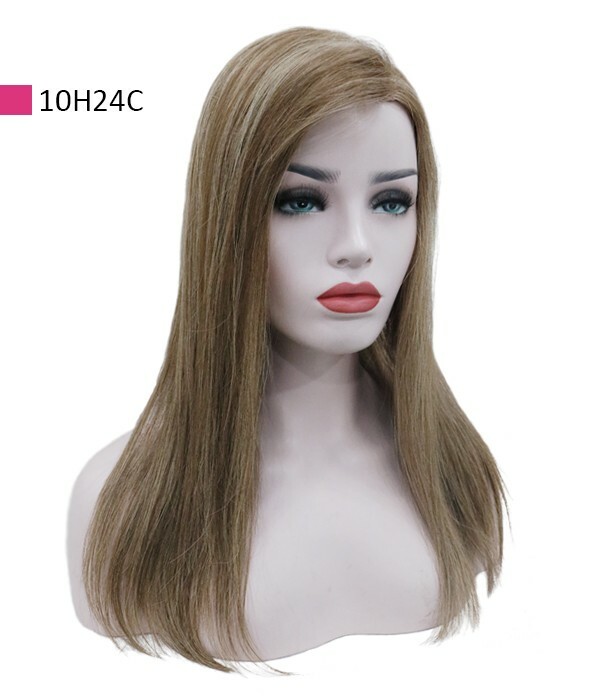 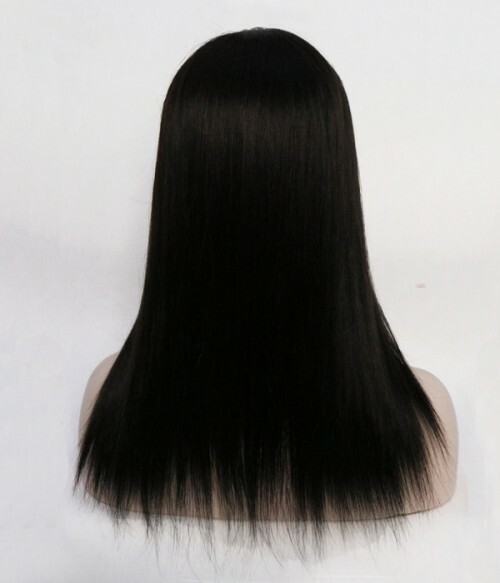 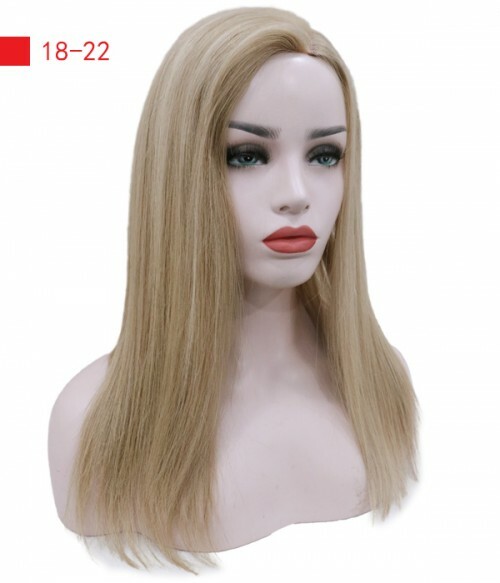 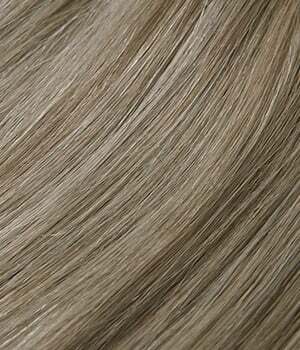 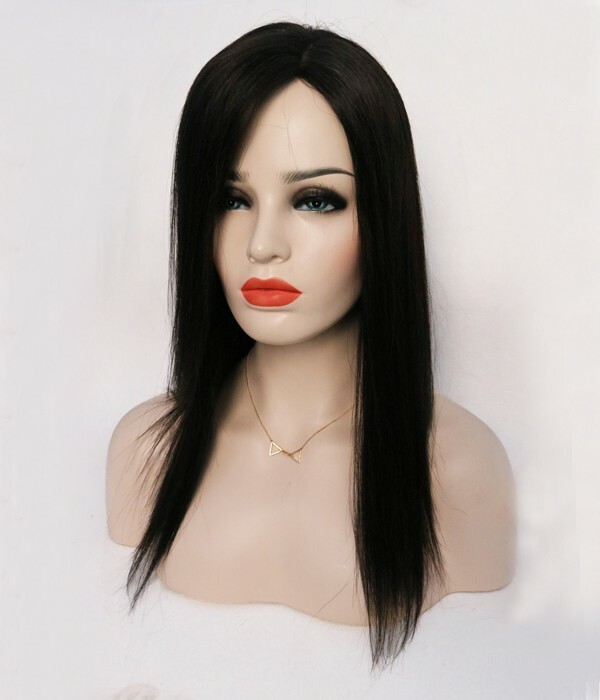 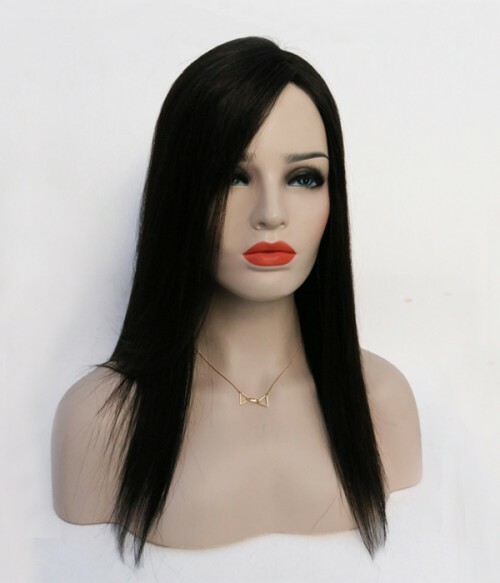 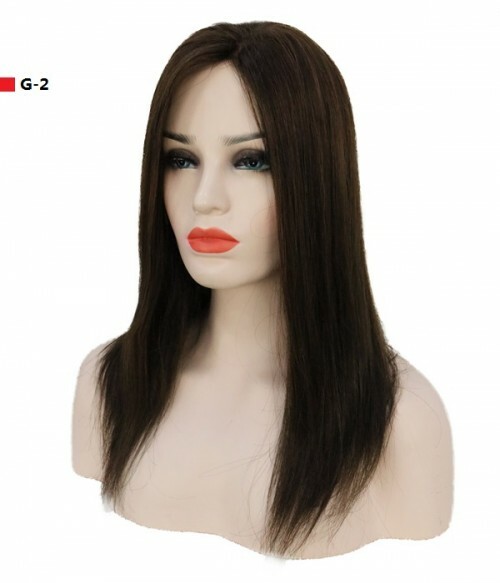 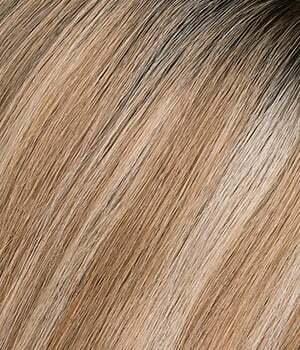 The Melanie human hair topper is a Virgin Remy human hair top piece with an 8.5”x9” super large base. 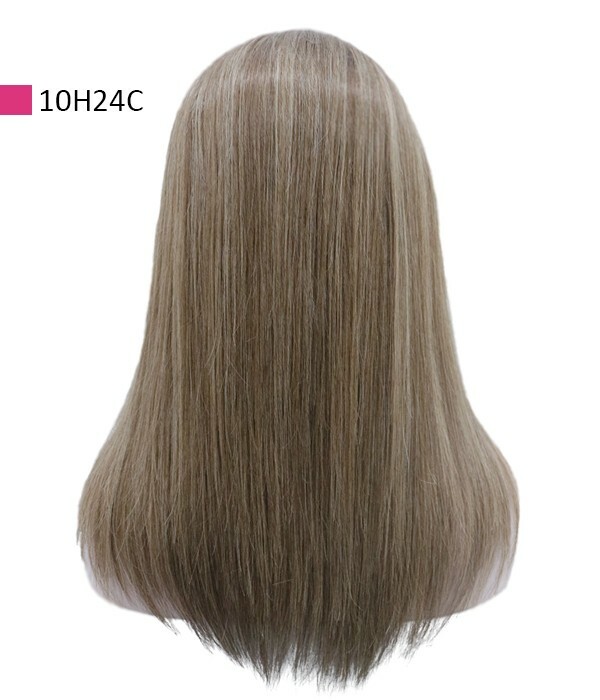 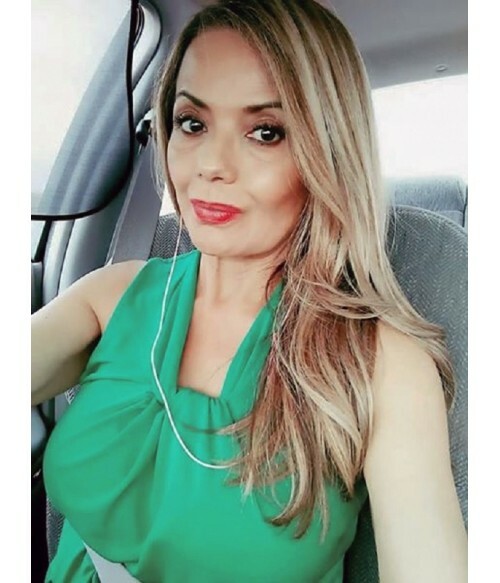 Designed to add gorgeous volume and coverage at the crown, this 100% Remy human hair top piece integrates with your own hair for a supremely natural look. 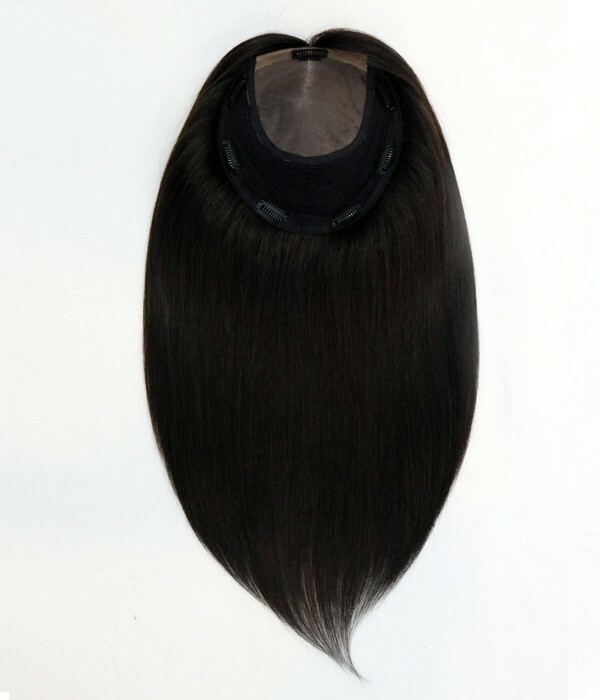 It features a mono top and wefted back. 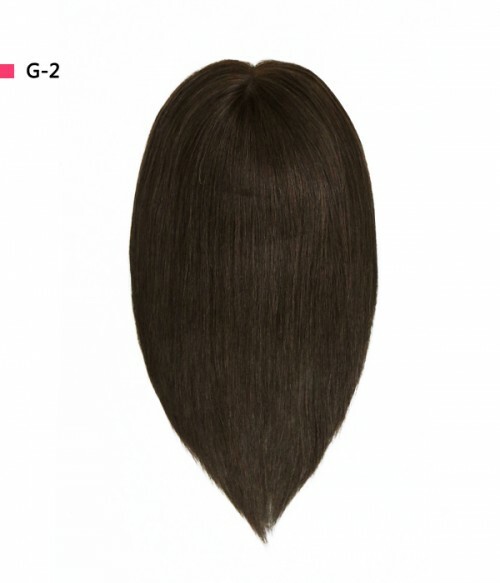 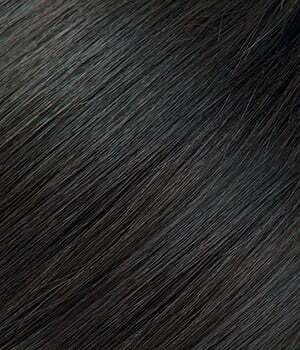 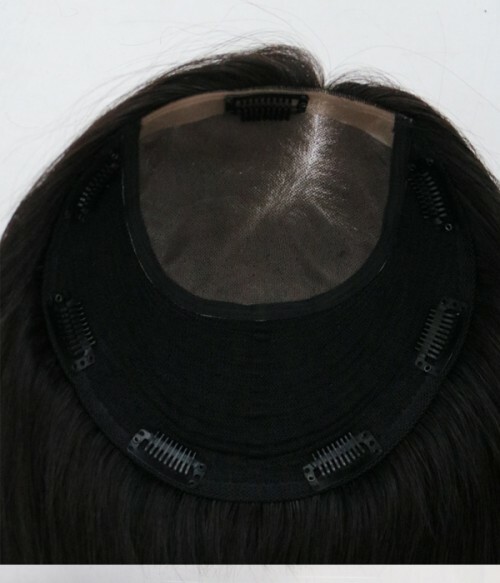 The mono top gives the most natural look and the wefts makes the large topper more breathable. 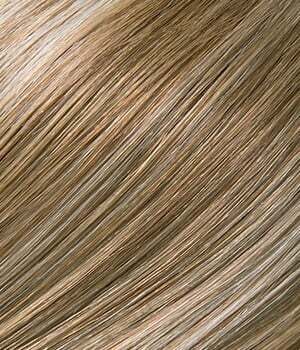 Melanie topper is available in various lengths and colors. 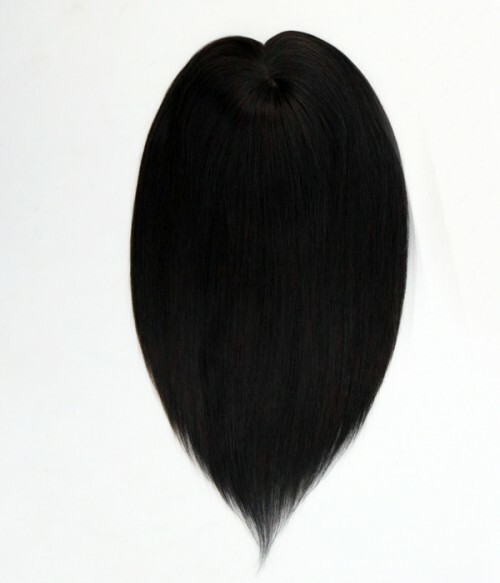 If you prefer another length or color, contact our customer service to customize a special one for you. 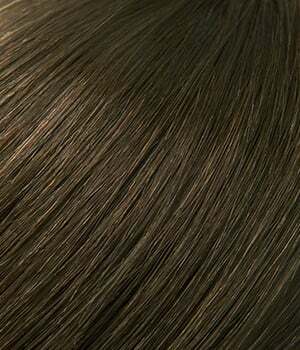 8.5"x9" Extra Large Base: Perfect for adding fullness, concealing thinning, or covering new roots in between colors.